With the MTB Himalaya in its 9th year, the name and repute of the most grueling event in South Asia has grown with leaps and bounds. The sport is growing in stature and quickly becoming popular among youngsters. 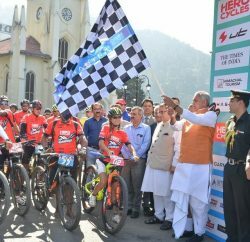 With the growing popularity of MTB Himalaya, organizer team HASTPA is hoping to generate enough buzz around the country and the world to promote Himachal as a go to destination for mountain biking. With more and more riders coming to the state all year-round, this sport has the potential to change lives of the locals who are segregated due to the state’s terrain. 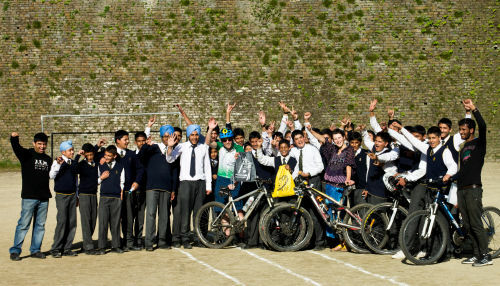 HASTPA & MTB Himalaya have taken up the challenge of educating the youth of the city. Shimla is a go-to town for education with a number of schools and educational institutions. Parents from all over the state prefer to educate their children in the queen of hills. With a number of convent schools in the city which work towards overall development of an individual, cycling becomes a natural ally to promote sustainable growth and personal well-being. Keeping with the ideology of promoting healthy living and eco-friendly way of life, HASTPA & MTB Himalaya has begun the process of building awareness about the sport and its associated benefits. 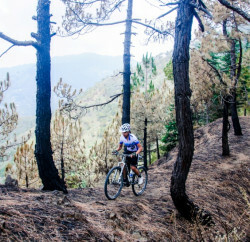 Staying with this goal, HASTPA organizes “MTB Himalaya Weekend Camps” for amateur riders, where riders are conditioned on the terrain and given training about the do’s and don’ts of mountain biking. These camps take place every weekend depending on number of riders interested and weather conditions. To educate local riders, these camps are free of cost for all Himachalis. Cycling especially in the mountains is a very grueling sport. The steep inclines, single tracks, dirt roads, vertigo inducing cliffs add to the adventure and extreme. Considered one of the best ways to stay in shape, cycling helps in building every muscle in the body and keeps all organs in perfect working condition. Apart from the physical benefits, cycling due to its physically straining nature helps in building mental toughness and attitude. Zoe and Robert are very excited to meet the students of St. Edward’s school next week and are looking forward to meet many other students of the city soon. Currently in Dharamsala, to discover the state in all its glory, Zoe & Rob are on a month long tour of the state.